During the past week, several persons, including the media, have contacted me with respect to the procedure which deals with no-confidence motions. This release treats with this query. Over the years, I have conducted extensive research on no-confidence motions. I have observed that no-confidence motions are dealt with differently in various Commonwealth Parliaments. Therefore, in keeping with the British practice, when a motion of no-confidence was brought against the Government in 2014, having regard to the exigencies of the Government`s business, it was published on Notice Paper and dealt with like other Private Members’ motions that require notice: it was placed on the Order Paper for consideration by the National Assembly twelve (12) days from the day on which the notice was published on a Notice Paper. 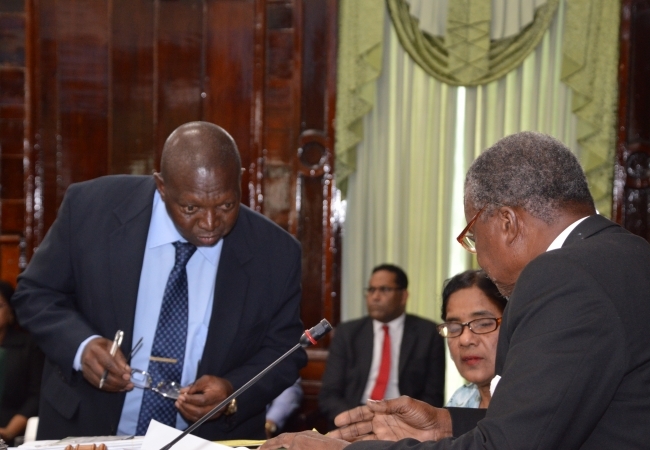 In my view, the day for the hearing of a no-confidence motion is determined by the Government and not by the Speaker of the National Assembly of the Parliament of Guyana.